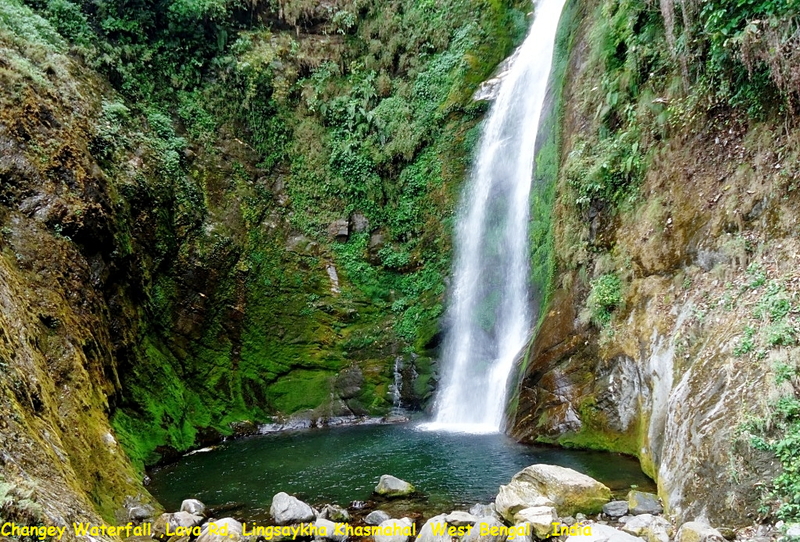 Changey Falls is located at a distance of 14 kms from Lava Town in Kalimpong District in West Bengal.A 900 ft walking trail from the last motorable point will take you to Changey falls. Extreme calmness with huge waterfall sound makes a wonderful contrast. Amazing Kanchendzonga standing high remains as a beautiful background. Innumerous chirps of amazing Himalayan birds like White Capped Water Redstart, Verditer Flycatcher, Niltava, Blue Fronted Redstart, Grey Treepie, Indian Robin, Blue Whistling Thrush makes the atmosphere heaven like.